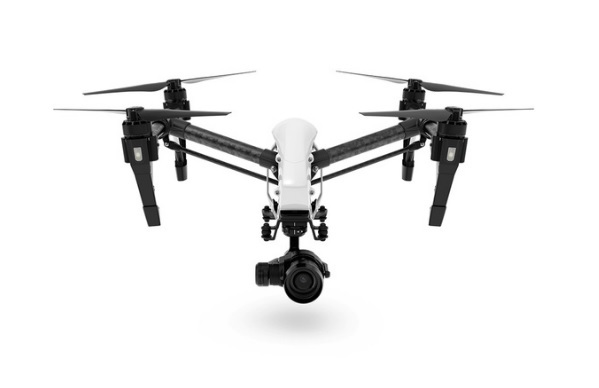 The DJI Inspire 1 Pro is a drone built from the ground up for professionals and is arguably the smallest, easiest to use aerial filmmaking platform in the world. The Inspire 1 Pro can be fitted with the Zenmuse X5 and X5R cameras, that come with full remote control on the focus and aperture. They are among the smallest Micro 4/3 cameras ever made and the only cameras in their class designed specifically for aerial use. Both can capture crisp, ultra-clear 4K video at up to 30 frames per second and photos at 16 megapixels, and can fit a variety of lenses. Both powerful and agile, the Inspire 1 Pro is a fast, lightweight UAV that can hit speeds of up to 18 m/s. Depending on the camera setup it can stay in the air for 13 to 18 minutes. The drone’s easy-to-use controls give the operator a meticulous grip over every aspect of filming and flight, fine-tuning everything from the focus to the shutter speed and the aperture, to managing intelligent flight modes. These include auto take-off, programmed flight plans and a focus lock. The setup also allows for two crew-members, handing control of the drone’s camera to a second operator, adding an even greater degree of control. DJI’s Optical Flow system, using sonic waves and a custom camera, allows the drone to move with extreme precision even in indoor environments. Based on this technology, the drone can hold its position without GPS; and if it senses that the controls have been dropped, it will stay in place. If you would be interested in hiring the DJI Inspire 1 Pro for a shoot, please email us at info@beeaerial.co.uk or call on +44 (0) 333 772 0728.